DARK HORSE ANNOUNCES HELLBOY DAY 2019! 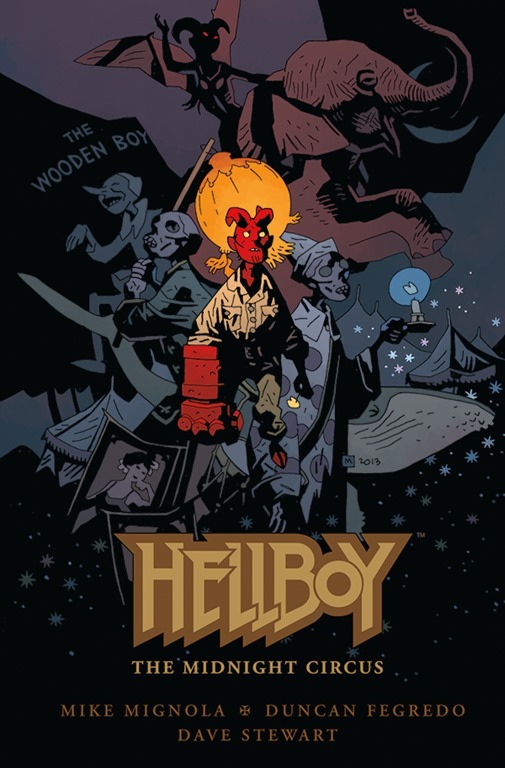 On Saturday March 23, 2019, Dark Horse Comics will celebrate the 25th anniversary of legendary comic book creator Mike Mignola’s most famous creation with Hellboy Day. For 2019’s Hellboy Day, Dark Horse will publish a 25th anniversary, edition of Hellboy: Seed of Destruction #1, with a new cover by Mignola and colorist Dave Stewart – which will be given away at participating comic book shops; and select stores across the country will host Hellboy Day events. SDCC 2017: Hellboy’s David Harbour Signing in Dark Horse Booth! 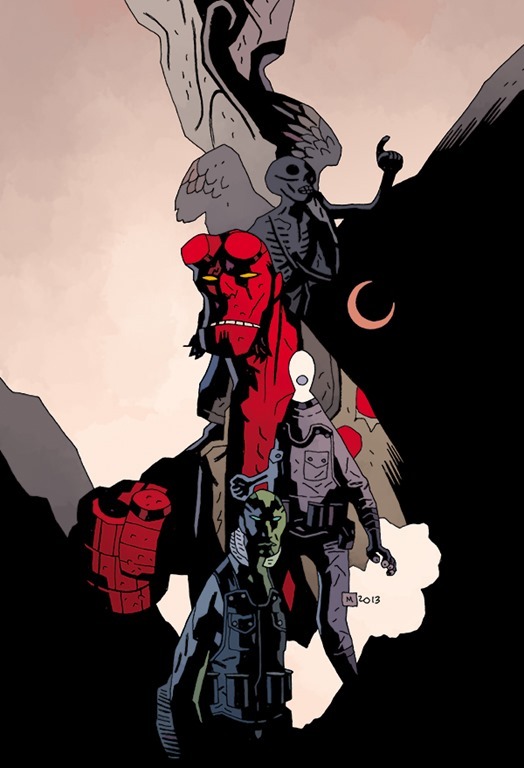 Mike Mignola’s new Hellboy, David Harbour, is signing in the Dark Horse on Friday, July 21st from 3:30-4:30 pm. The signing will be ticketed. Dark Horse has announced its panel and signings schedule for San Diego Comic-Con 2017 and it’s very impressive. Four stars of Dark Matter – the TV space opera based on the Dark Horse graphic novel – will be signing on Days 1 and 3; Fan favorite (and fangirl) Felicia Day will be signing on Day 1; and creators from Hellboy/B.P.R.D., Harrow County, Elfquest and more will keep autograph hounds busy all weekend. Panels include feature creators from Venture Brothers. Go Team Venture, an introduction to the company’s new Berger Books imprint with Karen Berger, and more. Strange Hellboy Mystery Revealed in The Visitor: How and Why He Stayed! One of Hellboy’s strangest mysteries is about to be solved in Dark Horse’s The Visitor: How and Why He Stayed. Yes, we are about to learn about those strange aliens who were spotted monitoring supernatural occurrences on Earth in Hellboy: Seed of Destruction. The Visitor: How and Why He Stayed is a five-part limited series from Mike Mignola (Hellboy), Chris Roberson (iZombie) and Paul Grist (Jack Staff). The first issue will be in stores on February 22, 2017. For even more details, read on. Serenity Heads Dark Horse’s FBCD Special! 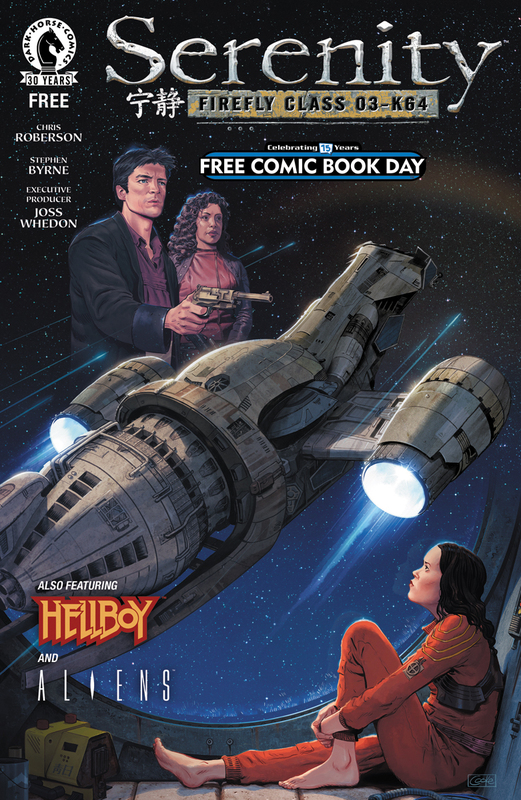 Browncoats everywhere will be heading to their local purveyor of fine sequential art storytelling on Free Comic Book Day this year – Serenity is the cover feature in Dark Horse Comics’ FCBD offering. Joining Serenity in the annual free comic will be an advance peek into Dark Horse’s upcoming Aliens: Defiance series (in celebration of the thirtieth anniversary of James Cameron’s Aliens) and a lesson learned that Hellboy is only now willing to share. Dark Horse’s Free Comic Book Day gold offering will be in stores on May 7, 2016. Follow the jump for further details. Dark Horse Comics and ComiXology have announced a digital distribution agreement that will bring Dark Horse’s library of collections, graphic novels and manga to its audience through ComiXolgy. All Dark Horse’s titles will be available, digitally, through Comixology on the same day that print versions hit the shelves in bookstores. For further details, follow the jump. 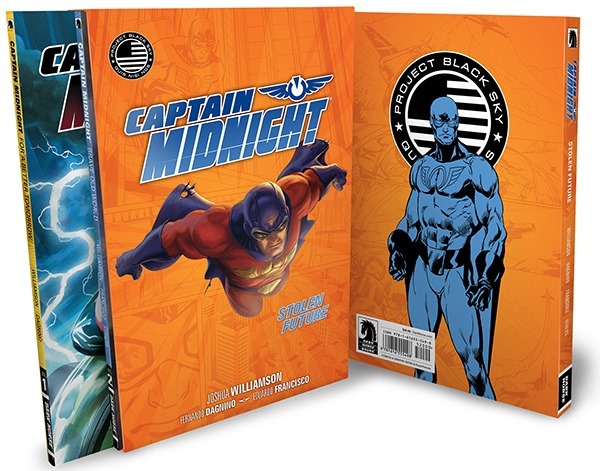 Dark Horse Unveils The First Wave of 2014 Comic-Con Exclusives! In preparation for 2014 Comic-Con International, Dark Horse has announced the first wave of exclusive books and products for the annual event – items ranging from the Itty Bitty Hellboy Plush to Comic-Con exclusive cover variant for Buffy the Vampire Slayer: Season 10 #5 and Witcher #1 (by Usagi Yojimbo’s Stan Sakai); from the Mass Effect Alliance Cruiser: Convention Exclusive Bronze Edition to the Captain Midnight: Stolen Future Convention Exclusive Slipcase Edition (above); from a Usagi Yojimbo lithograph (signed by Stan Sakai) to the Itty Bitty Hellboy hardcover and the EVE Source. For a look at the first ten Dark Horse exclusives for this year, follow the jump. Dark Horse Sets March 22, 2014 As Hellboy Day! Dark Horse will also publish a sampler (above left) featuring classic Hellboy tales The Ghoul and Another Day at the Office – and two new tales by Hellboy creator Mike Mignola, Fabio Moon and R. Sikoryak. For more, check out the press release following the jump. Dark Horse Gets Busy at C2E2: New Hellboy GN! Powers Sculptures! Elfquest! It’s only Saturday and already Dark Horse Comics is burning up the internet with big news! 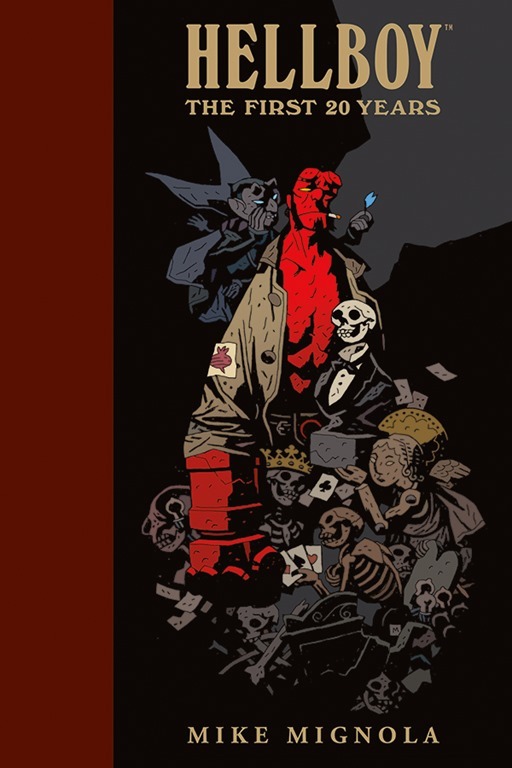 Firs up, a new Hellboy graphic novel, The Midnight Circus from Mike Mignola, Duncan Fegredo and Dave Stewart. 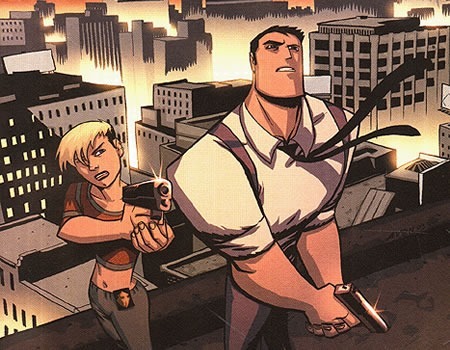 Next, Dark Horse Deluxe has licensed rights to creating a line of products based on Powers, the procedural in a world of superpowered characters created and owned by Brian Michael Bendis and Michael Avon Oeming – with a limited edition stature of Retro girl leading the way. 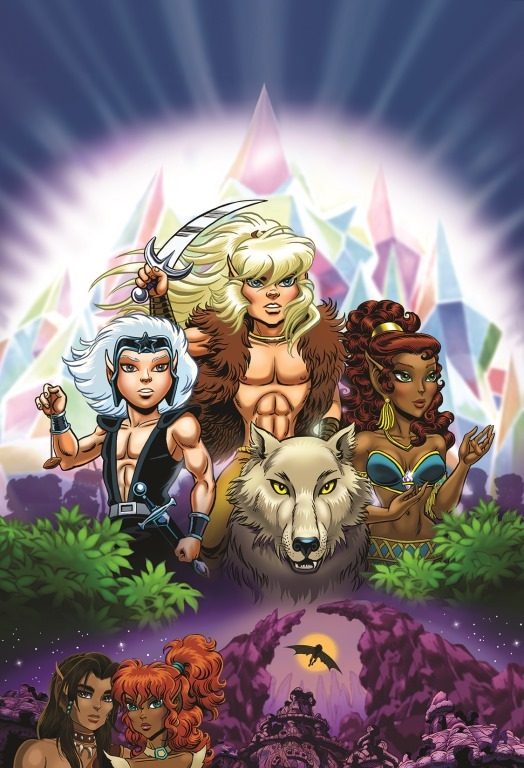 And finally, Wendy and Richard Pini’s Elfquest comes to Dark Horse in a series entitled Elfquest: The Final Quest. Follow the jump for details from the official press releases.